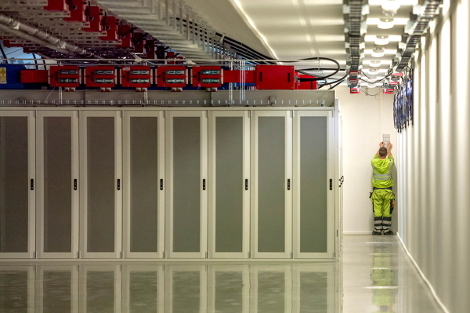 London-based data center provider Hydro66 has brought online its 100 percent hydro-powered data center in Boden, Sweden, about 10 miles from the $1 billion Facebook data center in Luleå. The facility’s anchor tenant is Hydro66’s sister company MegaMine, which provides bitcoin mining services. The data center came online with about 11,000 square feet of computer-room space and 3.2 MW of power capacity, which is relatively low as far as colocation data centers go, but with a 120 MW substation next door and the 78 MW Boden hydropower plant nearby, there’s plenty of opportunity to expand. Hydro66 held a grand opening at the site this week, with Magdalena Andersson, Sweden’s finance minister, in attendance. The data center provider started construction about one year ago. The company is backed by David Rowe, of venture capital firm Black Green Capital. Rowe is known for having founded several early internet businesses in the UK in the 90s, including internet service provider Easynet and Cyberia, a cyber café. Black Green also funded MegaMine. Hydro66 is in Sweden for the same reasons Facebook is. There’s cheap and relatively clean hydro-power, a cool climate for free cooling, robust network infrastructure, and lots of support from government economic development groups. 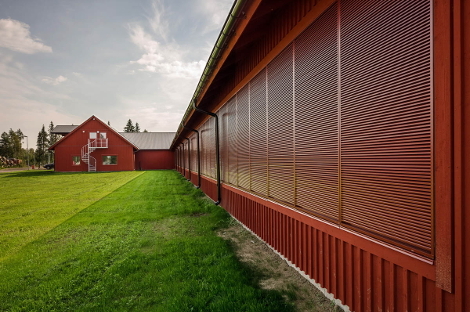 Officials’ largesse may increase in the near future, following completion of a government-commissioned study that concluded that the data center industry should be given the same tax breaks other industries that consume a lot of energy and compete internationally get in Sweden. Hydro66 isn’t the only data center in the area that houses a bitcoin mining operation, and Facebook isn’t its only neighbor. KnC Miner, one of the largest players in the bitcoin mining space, operates a massive 30 MW data center in Boden, also taking advantage of low-cost hydro-power.